Amélie du Passage is the founder and artistic director of PETITE FRITURE. 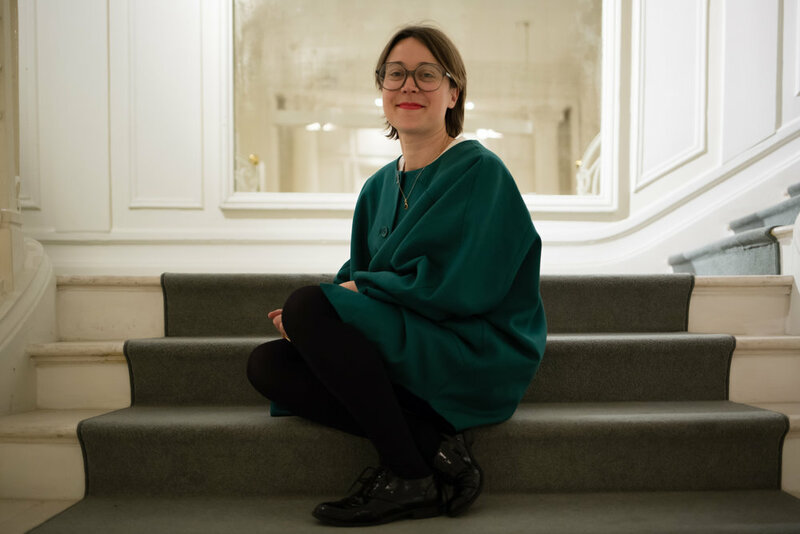 After graduating from the HEC in 2003, Amélie du Passage went to work for minister of culture Jean-Jacques Aillagon, as a speech writer and in charge of the art market. After a stint at the Réunion des Musées Nationaux, she joined the FIAC as Secretary General alongside Martin Bethenod. She was also involved in the return of the FIAC to the heart of Paris, with the organisation of a monumental exhibition at the Grand Palais at its opening in 2005. In 2009, she founded PETITE FRITURE and became a design curator with the aim of asserting a distinct style and bringing with her an emerging French and European design scene. After its first five years, PETITE FRITURE succeeded in disseminating its style and putting its name to products through more than forty collaborations, including renowned designers Claesson Koivisto Rune, Sam Baron and Noé Duchaufour Lawrance. A genuine talent scout, PETITE FRITURE launched the VERTIGO hanging lamp, designed by Constance Guisset, which is now a remarkable success, and Tidelight by young designer Pierre Favresse, who has since become Artistic Director of Habitat. In 2013, Amélie du Passage expanded PETITE FRITURE into the furniture market. She launched the Market Chair by designer Noé Duchaufour Lawrance, and the Nubilo sofa by Constance Guisset. PETITE FRITURE has also developed a “contract” service specific to decorators and architects. In January 2015, Amélie du Passage chose architect India Mahdavi to design a series of tables. This collaboration gave us the Parrot line, launched at Maison & Objet in January 2015. Every year, PETITE FRITURE participates in Maison & Objet in Paris, IMM in Cologne, the Salone Internazionale del Mobile in Milan and the Stockholm Furniture Fair.